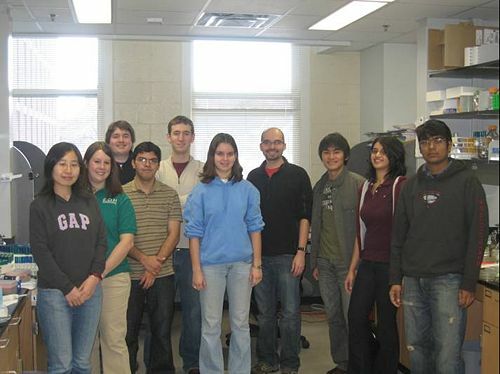 Welcome to the Rao Lab homepage! Our lab studies how cells process information. We are particularly interested in understanding how these decision making processes are encoded within the cell through feedback control. Our lab is also engineering microorganisms for the production of chemicals, fuels, and enzymes. We are specifically interested in developing genetic tools for non-model organisms. You can learn more about what we are doing by looking at specific research projects and our published work. If you have any questions, please feel free to contact us by email. This page was last edited on 13 March 2013, at 11:44.